5 Bedroom Detached House For Sale in Sevenoaks for Asking Price £940,000. 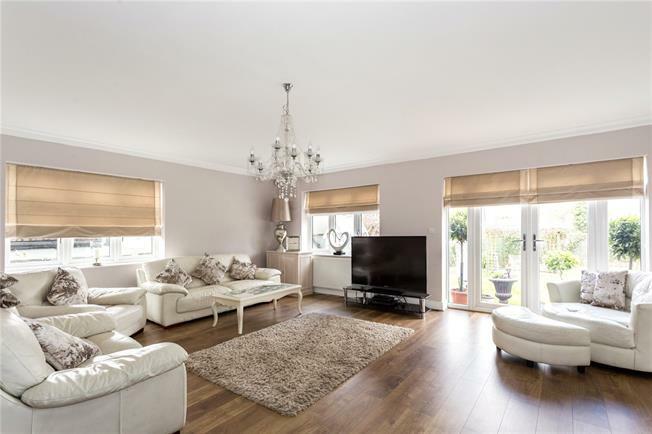 Brockhill is a five bedroom detached house, which has been extended and completely refurbished by the current owners to a high standard. On entering the property you are greeted by a spacious hall, which leads into the kitchen, sitting/dining room, utility room, games room and study/bedroom 5. The kitchen is well fitted and benefits from integrated dishwasher, butler sink and granite work surfaces. The sitting/dining room is very spacious and boasts a feature fireplace and access into the games room, as well as offering access out to the rear garden. To the first floor is the master bedroom suite with dressing room, three further double bedrooms and a stylishly fitted family bathroom, which benefits from separate shower and bath. Situated in a convenient location, the property is within easy reach of Polhill Shopping and Garden Centre, which is excellent for day to day requirements, whilst Sevenoaks and Orpington offer a wider range of shopping, social and educational facilities, both being approximately four miles distance. Knockholt Station offers services to central London and there are several educational facilities within a ten mile radius in both the public and private sectors. The M25 is easily accessible at Junction 4 allowing access to the motorway network, Gatwick and Heathrow Airports and Bluewater Shopping Centre. The property is a approached over a gravelled 'in-out' driveway, suitable of holding multiple vehicles. To the rear of the property is a delightful garden, mainly laid to lawn, which is fully fenced. There is a patio, which is perfect for entertaining, that adjoins the property.